Bloody Sunday anniversary. Strikes and demonstrations take place commemorating Bloody Sunday. A new strike wave in Petrograd. Last meeting of the State Duma. The first stage of the revolution of 1917 overthrows the monarchy and replaces it by the Provisional Government, which is to remain in office until a democratic parliament will be arranged. International Women's' Day. Women textile workers in Petrograd go on strike and gather in the streets to protest against food shortages. The strike spreads to other factories where workers were just waiting for a spark. The Revolution has begun. In Petrograd, approx. 200,000 workers are on strike now. General strike. Students and many others are joining the activists in the streets. The crowd demands Russia's exit from WWI and the Czar's abdication. Shootings break out and revolutionaries are getting arrested. Government troops are ordered to open fire on the protesters. The troops obey and hundreds are killed. Czar Nicholas II dissolves the Duma. Soldiers in other cities join the revolt, many follow the demonstrators in the streets, others just go home, some shoot their officers. Prisoners are freed from jail, police stations are set on fire, as are portraits of Nicholas II and tsarist emblems. One of the freed prisoners, and one whose cell door they should've kep locked, is Felix Dzerzhinsky. We will meet him again on December 20, 1917. Against the Czar's orders, members of the dissolved parliament (the Duma) form the Temporary Committee of the State Duma and prepare to take complete power. The Petrograd Soviet of Workers' and Soldiers' Deputies issues Order No. 1, commanding the Russian armed forces to exclusively obey orders that have been approved by the Soviet. The Provisional Government is too weak to do anything about it and tries to look as unruffled as possible for a sitting duck. Order No. 1 reads as follows. 7. Likewise, officers shall be addressed as Mr. General, Mr. Colonel, etc., instead of Your Excellency, Your Honor, etc. The Provisional Committee of the Duma forms the Provisional Government. Prince Georgy Yevgenyevich Lvov becomes first prime minister and minister of the interior of the Provisional Government. He will quit his job on July 20, 1917. The Petrograd Soviet pledges loyalty to the Provisional Government but mentions in the fine print that it won't cooperate in case its members can't agree. In effect, this means two groups are ruling. This time is also called the Era of Dual Authority. Aleksandr F. Kerensky becomes vice chairman of the Petrograd Soviet and minister of justice in the Provisional Government. Kerensky is the only individual brave (or crazy) enough to hold positions in both organizations. Nicholas II is on a train to his residence, the summer palace, at Tsarskoe Selo and gets stuck in Pskov. The Duma insists on Nicholas' abdication and sends representatives Aleksandr Ivanovich Guchkov and Vasilii Vitalievich Shulgin to meet him there. Nicholas complies and signs the papers. Nicholas abdicates in favor of his brother, Grand Duke Michael, also spelled Mikhail. Grand Duke Michael ponders the situation briefly and then declines the job offer, which was smart but not smart enough to ultimately save his life. He will be killed on June 12, 1918. Back to March 16, 1917. Russia is no longer a monarchy. Ukrainian nationalists respond to the political upheaval in Russia and form the Central Rada, or the Central Council. The Central Rada will issue their First Universal on June 23, 1917. The Provisional Government announces amnesty for political prisoners. The Provisional Government abolishes the death penalty. Grain crisis. The Provisional Government issues a decree on grain monopoly. Famine is in the air. Lenin, Zinoviev and other Bolsheviks arrives in Petrograd coming from Switzerland. Lenin had left the country in 1900. Lenin presents his April Theses, his agenda for the continuation of the Revolution. He argues that the ruling Provisional Government is unacceptable because the workers, and the workers alone, should be the ones in power. Foreign Minister Pavel N. Milyukov (also spelled Miliukov) sends a declaration to the Allies regarding the Russian Government's war aims. The government's position is that of being ready to quit the war without any ambitions regarding territorial annexations. However, knowing that the French and the British wouldn't be happy with that position, Milyukov attaches a note of his own. Milyukov elaborates that Russia is still willing to "continue the war until complete victory" and that Russia is very much interested in expanding her territory. This note is leaked to the press and will cause the Provisional Government's first crisis. The April Days, also called the April Crisis. Mass demonstrations in Petrograd and Moscow against Pavel N. Milyukov's declaration of war aims. Seventh All-Russian Conference of the Bolshevik party. Lenin's April Theses are officially the party's program. The new slogan is All Power to the Soviets. Pavel N. Milyukov resigns as foreign minister. Leon Trotsky arrives from America. 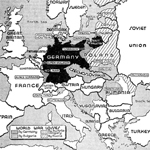 The First Coalition Government will end on July 15, 1917. The First All-Russian Congress of Workers' and Soldiers' Soviets gathers. The Socialist Revolutionaries have the majority, the Bolsheviks and the Mensheviks the minority. 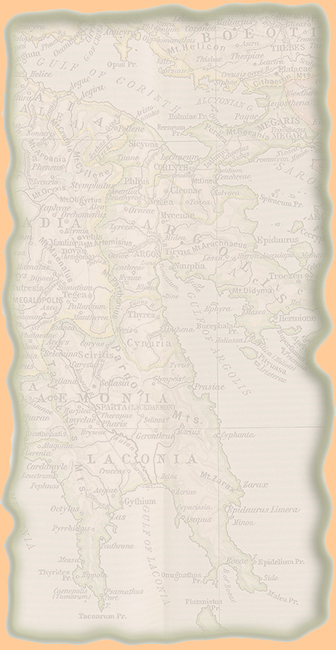 The Central Rada, created March 17, 1917, issues their First Universal, declaring Ukrainian independence. Kerensky's unsuccessful military offensive on the Austrian front, led by General Aleksey Alekseyevich Brusilov. This military attack is also known as the Kerensky Offensive, the June Offensive (old style), the July Offensive (new style), the Summer Offensive, and the Galician Offensive. This time period is also known as the July Days. Mass demonstrators in Petrograd are making noise for the Petrograd Soviet of Workers' and Soldiers' Deputies and want the Soviet to replace the Provisional Government. Again, the slogan of the day is All Power to the Soviets. Today the Bolsheviks are the demonstrators. Chaos ensues and approx. 400 people get injured. Bolshevik leaders get arrested. To keep the Bolsheviks in their place, the Provisional Government spreads the rumor that Lenin is a German spy. This little nasty had worked like a charm against the Czarina and should do the trick now. Lenin goes underground in Finland. He'll be back October 20. Prince Georgy Yevgenyevich Lvov resigns as prime minister and minister of the interior of the Provisional Government. He had held this post since March 15, 1917. Kerensky becomes the new prime minister. He will keep this office until November 7, 1917. The Provisional Government re-introduces the death penalty in the army. Kerensky, as head of the Provisional Government, makes Kornilov commander in chief. 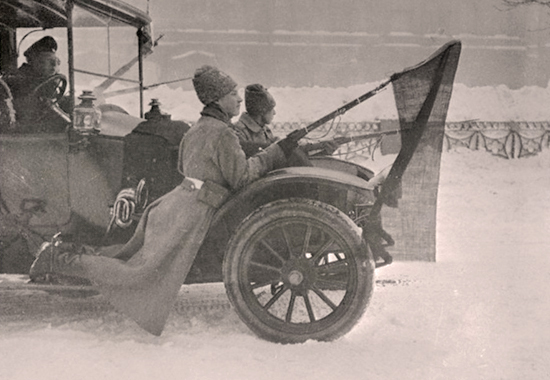 Kornilov, the commander in chief of the Provisional Government, sends troops direction Petrograd. Kerensky judges Kornilov's move as an attempted military coup. He fires Kornilov from his post as commander in chief and orders him to come to Petrograd, but with the quickness. Kerensky makes himself the new commander in chief. Kornilov refuses to come to Petrograd. He goes to Bykhov instead, surrenders, and gets caged. He manages to escape later. Lenin sneaks back into the country and arrives in Petrograd. Meeting of the Bolshevik Central Committee. Lenin takes his vitamin pills and after 10 hours of debate he convinces his comrades that now is the time to seize power. Finally, they agree to an armed insurrection. The Petrograd Soviet forms the Military Revolutionary Committee. The Fifth Conference of Petrograd Factory Committees takes place, or the First All Russian conference of factory committees. Also called the Bolshevik Revolution, the second stage of the revolution of 1917 brings the Bolshevik Party to power and establishes the Soviet Communist government in Russia. It's the eve of the meeting of the Second Congress of Soviets. Lenin writes the Central Committee of the Bolshevik party to arrest the Provisional Government members immediately. 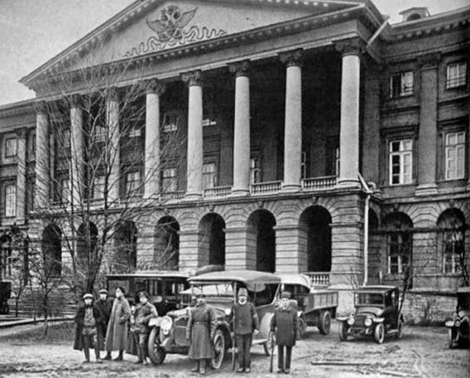 Troops of the Military Revolutionary Committee surround the Winter Palace where the Provisional Government is in session. Telegraph offices, railway stations, and governmental buildings are occupied without any noteworthy resistance. In the name of the Military Revolutionary Committee, not in the Bolsheviks' name, the Provisional Government is overthrown. The Bolsheviks occupy strategic points in Petrograd. Ministers of the Provisional Government are arrested. Kerensky escapes to the front, appoints Dukhonin commander-in-chief. 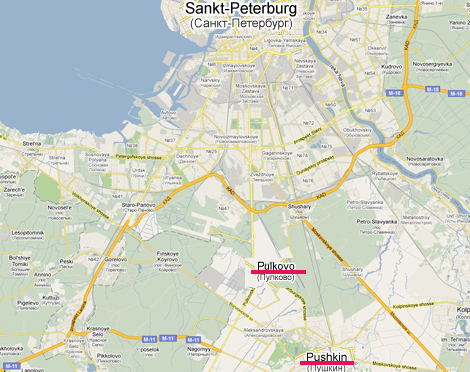 South from Petrograd, the border between Bolshevik and anti-Bolshevik forces runs between Tsarskoe Selo and Pulkovo. Today, Tsarskoe Selo is part of Pushkin. Here is the Google map. Late in the evening, Lenin comes out of hiding and joins his comrades at the Smolny Institute, a former school converted into the Soviet's headquarters. Here is a photograph of the Smolny building. Lenin announces the end of the Provisional Government and the victory of the revolution. Lenin proclaims the new Bolshevik government, the Council of People's Commissars (Sovnarkom), chaired by Lenin himself. Furthermore, new laws regarding the war and the redistribution of land are in store. The Russian Soviet Federated Socialist Republic is proclaimed. See next events under Timeline of the Russian Civil War 1917. Mexico's struggle to switch from dictatorship to constitutional republic translated into ten messy years of skirmishing in Mexican history.